In June, YouTube launched its subscription video service, YouTube Premium, in the UK and staffed up a local commissioning office. The message is clear: the tech giants are taking the next steps in what some characterise as Silicon Valley’s assault on broadcasters and local creative industries around the world. Indeed, BBC Director-General Tony Hall has called the onslaught of the big SVoD services a “fight for the future” for PSB and commercial broadcasters alike. Traditionally, the BBC and similar networks have presented their ability to commission and screen local content as a core strength. Who else can reflect Britain back to itself better than the BBC or ITV? The reasons for the shift to local were underlined by Netflix’s recent quarterly results. Significantly, the company missed its own, rather conservative, subscription targets by a telling 1 million – and its share price dropped 14% in a single day. Netflix is expected to pour $8bn into original content this year, much of it directed towards the UK, Germany and Spain. Two years ago, its portion of original programming coming from outside the US was just 23%, but this year it is on track to be nearly double, at 45%, according to Ampere Analysis. Half of the non-US originals will hail from Europe, particularly the dynamic UK market. This is because Europe has the most potential for new subscription growth. There is good broadband availability, coupled with willingness and ability to pay for content. Indeed, in its recent results, Netflix’s chief content officer, Ted Sarandos, emphasised the importance of commissioning shows that “are incredibly relevant in their home territories – and the nice windfall is they get viewed all over the world”. 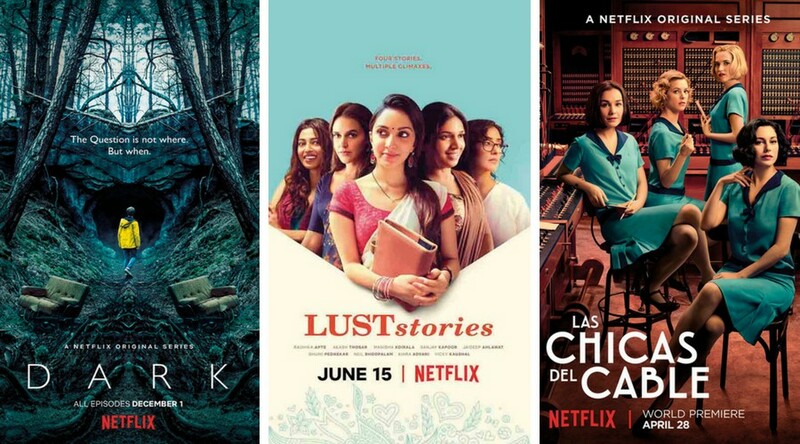 He highlighted such localised shows as the Danish series The Rain and German drama Dark, plus the forthcoming new season of Spain’s Las Chicas del Cable and Ghoul from India; Netflix sees the last as a key growth market. “It’s really, I think, accelerating the brand perception of Netflix as not just an out-of-towner, but someone who’s producing content that you care about in every part of the world,” explained Sarandos. And it is not just Netflix that is boosting local content and moving beyond a focus on commissioning scripted, episodic drama. Amazon is heading in the same strategic direction, raising non-US original programming from 3% of the total in 2016 to a predicted 11% this year, according to Ampere Analysis. In the UK, Amazon hired former BBC and FremantleMedia commissioning and acquisitions executive Georgia Brown last year to lead commissioning for Europe. The UK is, of course, a crucial strategic growth market for Amazon, given its recent investments in premium football and tennis rights. Other Faang (Facebook, Apple, Amazon, Netflix and Google) companies also have highly experienced local commissioners in their game plans – Apple hired former Channel 4 chief creative officer Jay Hunt as creative director for Europe, based in the UK, late last year as part of its original development push. At Netflix, ex-Canal+ documentary boss Diego Buñuel is overseeing documentaries from a central London office. 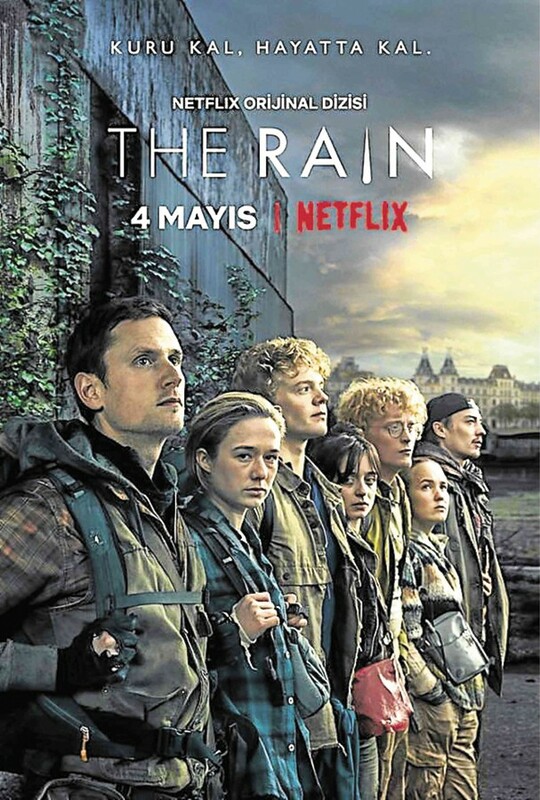 And, in July, Netflix announced that it had chosen Madrid as the site for its first European production hub. For YouTube and Facebook, the strategy is a bit different. Their current monetisation models are not geared to producing the high-end, premium programmes that broadcasters and Netflix covet. But that looks to be changing, particularly with the launch of YouTube Premium and Facebook’s push into video via Facebook Watch. So how should the legacy broadcasters react? When Ofcom CEO Sharon White says that she would “love to have a British Net­flix”, it seems the timing might be right for a unified fightback from the BBC, ITV, Channel 5 and Channel 4. Similar moves are underway to create joint broadcaster-led SVoD services in France and Germany. Creating this kind of SVoD platform is not without its challenges, particularly given the value of catch-up and box-set rights to broadcasters. Indeed, the recent row between Virgin Media and UKTV, which led to all 10 of its channels disappearing for three weeks during vexed negotiations over box-set rights, was telling. Both Virgin and UKTV’s joint owner, the BBC, need no reminding of the escalating value of certain on-demand rights. The commercial and branding issues may not be easy to sort out, either, but White’s statement that the rise of SVoD has “profound implications for UK television” speaks volumes for what is at stake. In July, she urged broadcasters to “work together to reach people who are turning away from TV” in order to compete in the digital age. The recent talk about reviving what is being described as “Kangaroo 2” is clearly underpinned by a regulatory green light. This is ironic, because it was competition regulators who shot down Project Kangaroo nine years ago. That would have seen the major British broadcasters form an SVoD alliance. Carolyn McCall, ITV’s new Chief Executive, unveiled a “strategy refresh” at the broadcaster’s half-year financial update in July, including plans for a new subscription streaming service focused on distinctive British content. ITV already operates the BritBox streaming service in a joint venture with the BBC and AMC in North America. A big part of that fightback is about distinctive, local content. Media analyst Paolo Pescatore says: “We shouldn’t underestimate the value of local content and regional differences. With this in mind, it is paramount that the leading global OTT providers invest in locally produced content” to continue to grow their services. Pescatore believes that broadcasters should not be fighting against the Net­flixes and Amazons. “As the Faangs spend more on local programming, then there is no reason why they shouldn’t partner with broadcasters whose strength is in local content.